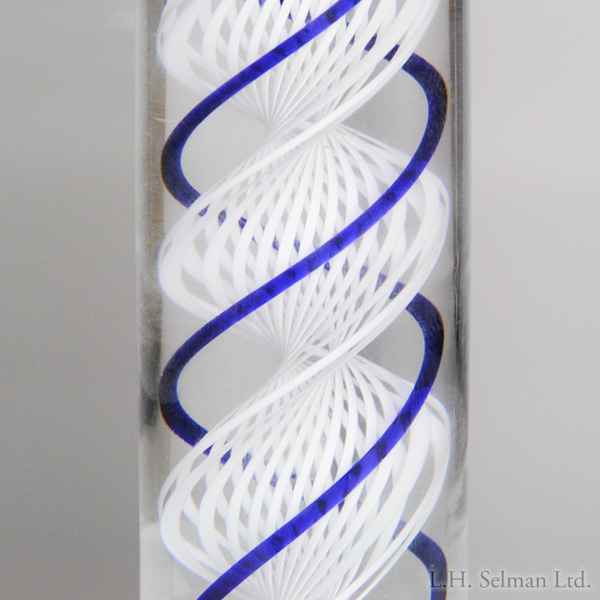 Mike Hunter 2018 pair of blue and white twist candlestick holders. Matching blue-encased white twists rise at the cores of two long cylindrical bodies, topped by a clear collar each and footed by a clear base each, to form two candlestick holders that were carefully crafted to be paired together. Signed/dated. Diameter 4", height 7 5/8".